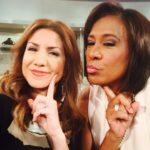 CBS Los Angeles: Sneaky tricks for how to clean up a teen’s online image! Got teens? (Not yet for me, but it’s comin’ quick… I know.) How to clean up a teen’s online image can be daunting. At the moment my daughters are barely in elementary school, but I know that college and jobs are right around the corner. What to do if, one day, we need to clean up their digital footprints? Because, you know, other kids might post something unflattering about them (or, they just might mistakes and post something unflattering about themselves too). 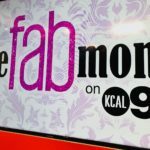 Whenever I worry about a topic in my present or future parenting… I figure it best to explore it and talk about it on air, as part of my CBS Los Angeles FAB Mom segments. Might as well learn together. Audit your child online weekly and/or monthly. Google-search their name to see what kinds of content (words, images and news) shows up. Los Angeles-based social media expert and speaker Josh Ochs’ website Smart Social offers parents a specific tool called Footprint Friday to help conduct consistent searches on basic and advanced levels. Use YouTube to control your teen’s image. Ochs recommends taking advantage of Google-owned YouTube to cultivate a positive teen image online. If consistently posted by teens ages 14-17 (with parental approval and supervision), positive videos on YouTube that showcase your child’s most positive traits and skills will eventually push out negative or unflattering posts that others may have posted about your child without him/her knowing it. Thanks to YouTube ownership, Google favors YouTube content. Related: Toddler Behavior & Parenting Tricks: Date your kids. CBS Los Angeles: Tragic Tech Overload & Teen Suicide.